Photo: Holly Court, ca. 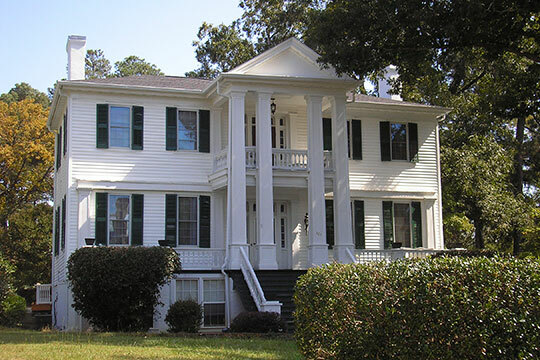 1833, 301 South Alexander Street, Washington, GA. Listed on the National Register of Historic Places in 1972. Photographed by User:Blastoids (own work), 2012, [cc-by-3.0 (creativecommons.org/licenses/by/3.0)], via Wikimedia Commons, accessed October, 2014. Wilkes County administrative offices are located at 23 Court Street, Washington, GA 30673; phone: 706-678-2511. Wilkes was one of Georgia's original 7 counties, created in 1777. It is named for John Wilkes [1725-1797], a British parliamentarian who supported colonists' issues prior to the Revolutionary War. Between 1790 and 1854 all or part of 9 counties were created from land originally part of Wilkes.